Bridging Communities Culmination 2012 | JACL PSW in Blogland! The 2012 Bridging Communities PSW Graduates. The JACL Pacific Southwest District, in partnership with Council on American-Islamic Relations, Kizuna – Uniting Nikkei for the Future, and Nikkei for Civil Rights and Redress celebrated the 4th Annual Culmination of Bridging Communities in Los Angeles. 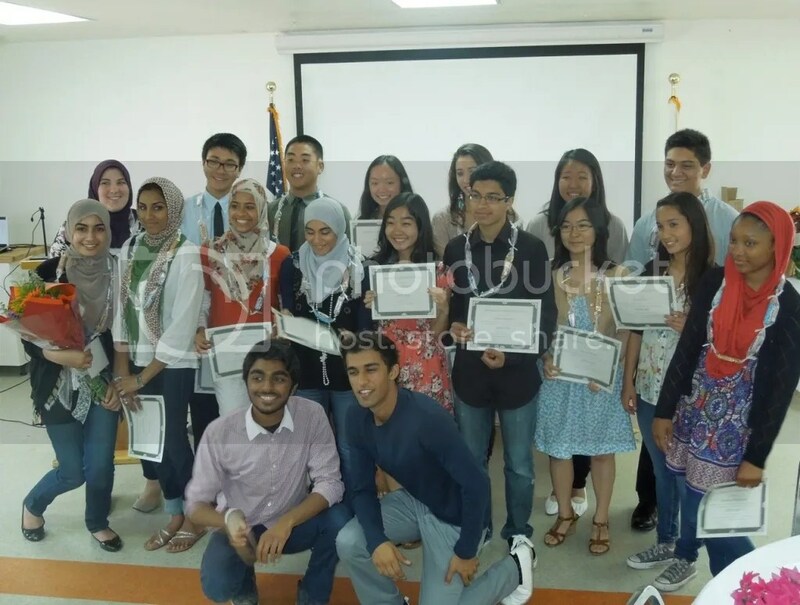 The goal of the Bridging Communities Program is to create awareness, dialogue and ultimately activism from Japanese American and Muslim American high school youth through a series of interactive sessions including topics such as: identity, culture, religion, civil rights, community history, immigration, advocacy, and community service. The program concluded this year with a trip to the Manzanar National Historic Site where the students participated and assisted with the archeological dig. 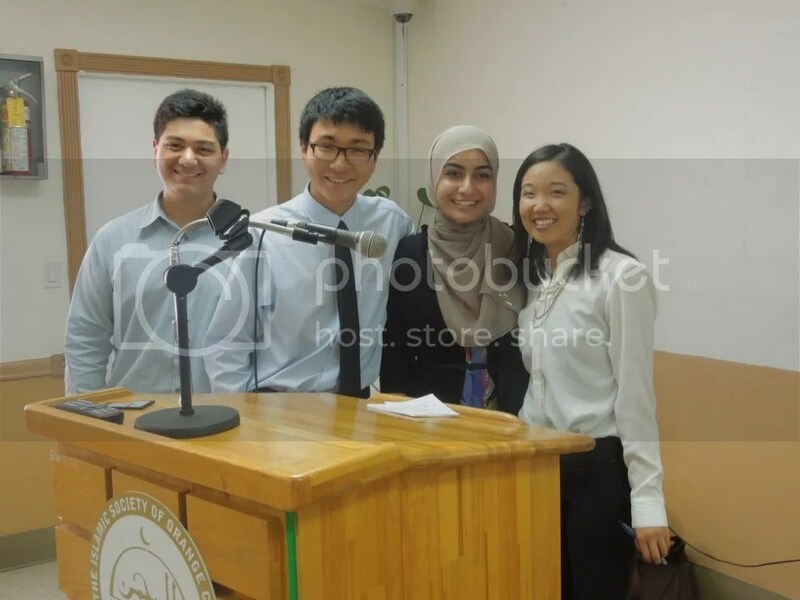 Left to Right: Michael Taheri, Alex Kanegawa, Nida Aslam & Marissa Kitazawa. Culmination this year created a space for the students to share their community engagement projects with their family and friends. “When we realized that many of our parents and community members who had been consistently supporting the program were still unfamiliar with the actual mechanics of each session, my group and I decided to use Culmination as a forum to provide them with a condensed program session. Our group picked out a few of the most enriching and memorable exercises we had participated in during Bridging Communities and created the program for Culmination around that structure. Everyone really got into the discussions and activities with the same sort of enthusiasm we’d had as participants, so the whole thing ran pretty successfully,” Says Nida Aslam. “This program holds such a special place in my heart because of it’s pro-active nature. Not only does this program educate youth on history but it actively looks at how civil rights and advocacy can move forward” said PSW Associate Regional Director, Marissa Kitazawa. 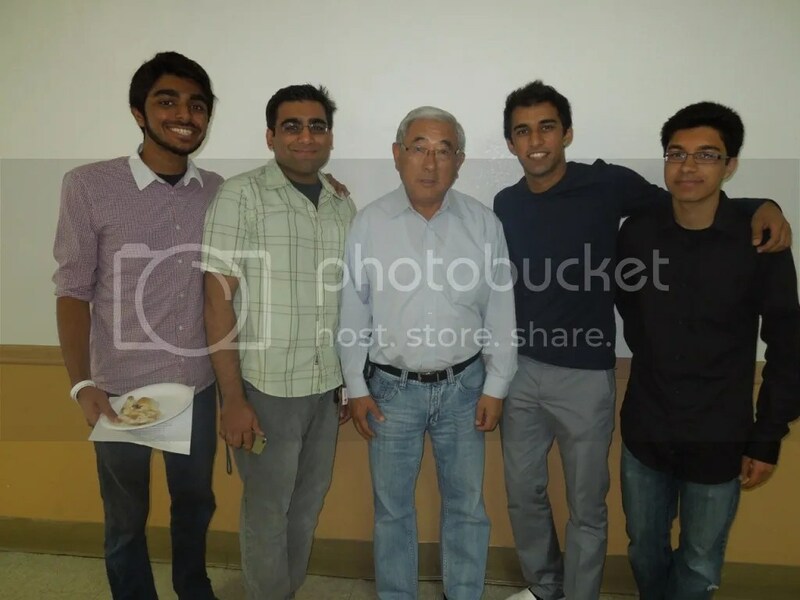 Floyd Mori with the Bridging Communities Brotherhood: (L-R) Zawar Jafri, Affad Shaikh, Floyd Mori, Shehzaib Rahim & Abdul Siddiqui. My son Alex enjoyed the program very much. It was enlightening and fun. More kids should get involved!